The card is beautiful, and if the light box makes that much of a difference then I need to get mine out!!! ( oh yeah, you have to create something 1st)lol...Between laundry, soap opera and dinner it's hard to find the time. I've been looking thru scrap mags but my idea fountain has dried up. Maybe tomorrow. How cute that you thought of me when you ordered from PTI! What did you get? Love Songs is def on my wishlist! Love the card and your profile at Cuttlebug is cute and you to a T! 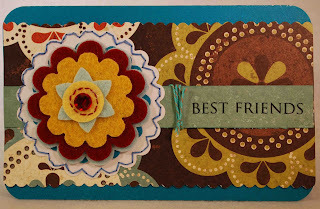 Awesome card, I love the big felt flower! Sounds like you had a great vacation, eating, sleeping and scrapping - what a great time! 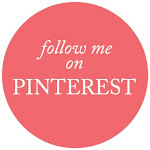 Love your bio and photo posted at Cuttlebug!